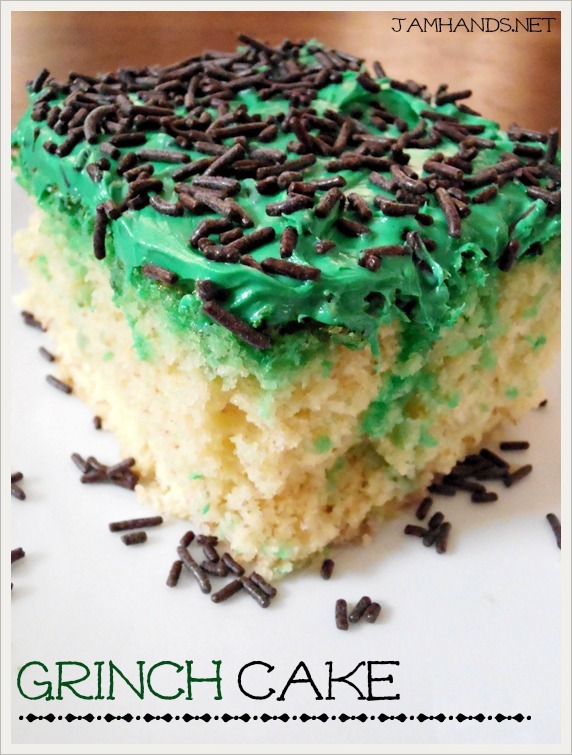 The family had a Grinch afternoon where we watched the Grinch (the Cat in the Hat version) and made a Grinch cake together. The cake was a basic yellow cake mix with two mashed bananas added. Otherwise you just make it the way the box says. 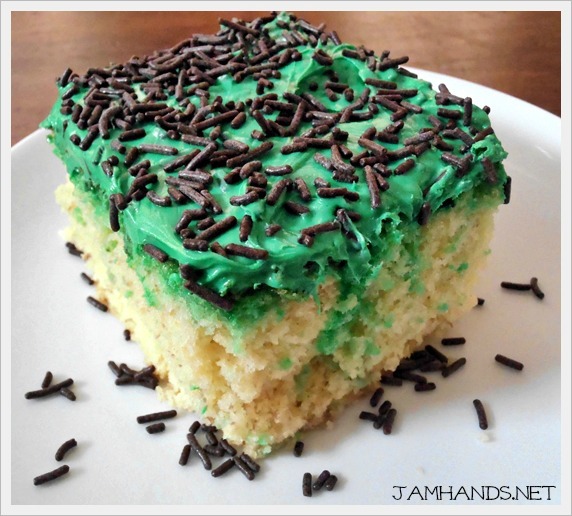 You can add green food coloring to the batter after it is in the pan but I thought it was unnecessary as the frosting covers it up for the most part. I mixed in real chocolate jimmies with the frosting and also added extra on top. The kids had a tricky time pronouncing "Grinch" and kept calling him the "Grunch." It was really cute! Recipe from Oh Bite It!